Along with Hull, Aarhus is the other host to this year’s European Capital of Culture. Launching on 20 January Denmark’s second city is promising a year-long series of events themed around the phrase, idea and challenge — Rethink. For the past six years, leading up to 2017, Aarhus on the eastern coast of Jutland, has been abuzz with a major building boom, and so it isn’t surprising that the Capital of Culture festival will be the launch pad for a plethora of architectural related events (and buildings). Those who’ve visited Aarhus will know that the hillside city slips down to a deep-water bay with a long, arcing dockland waterfront. For years the dockside area has been a never-ending building site waiting for the transformation to be done with. Now, with the Capital of Culture year here, Aarhus will be showing off the waterfront, and hoping it’ll draw people, attention and business from the world over. 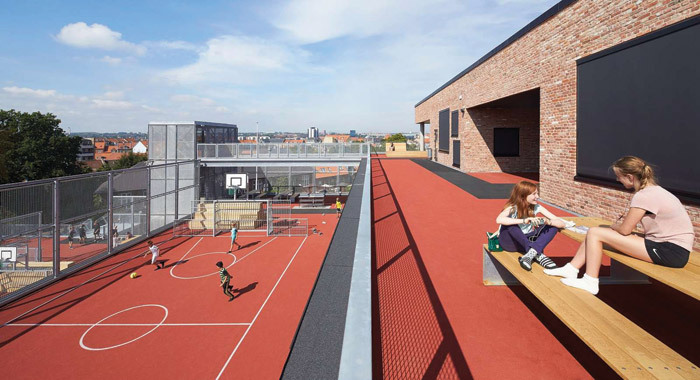 It’s here that many of Denmark’s biggest names have completed large-scale projects over the past few years, including, at its far end two big Aarhus practices, 3XN Lighthouse and CEBRA’s (pairing with Belgium’s JDS Architects) Iceberg housing. 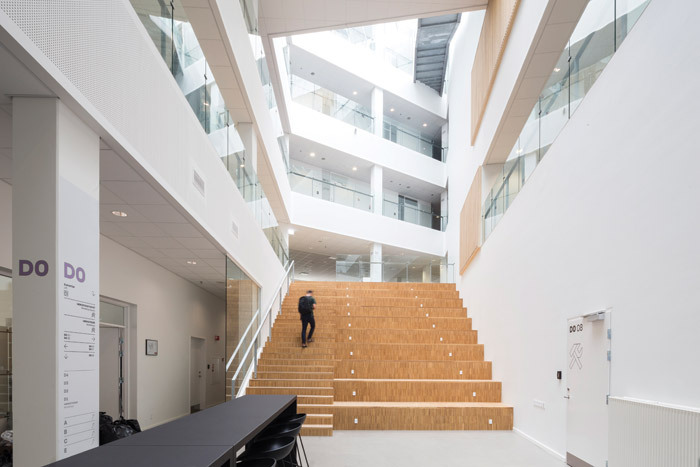 Closer to the city centre are Adept’s Canal House, and Navitas Park, two engineering schools merged and rehoused in star-shaped university building by Christensen and Co and Kjaer and Richter Architects. Facing these across the harbour front is the Nordic world’s largest library, shl’s recent waterfront highlight DOKK 1. 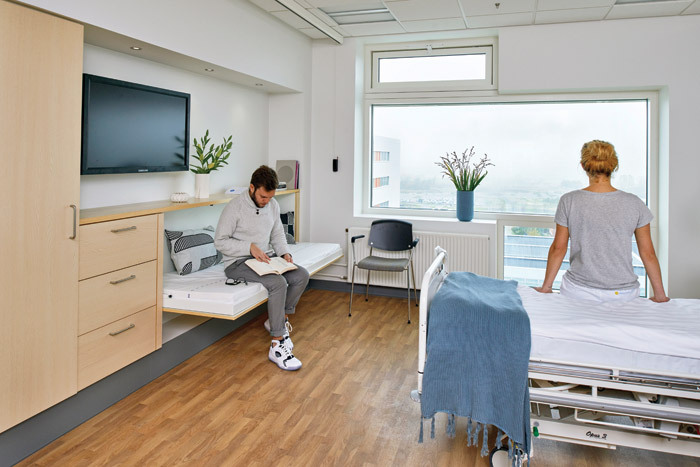 Much of CF Møller’s - with Cubø - new city hospital (Denmark’s largest, completing in 2018) will actually open this year, a milestone for a practice umbilically linked to Aarhus - having master-planned and built the university campus more than 50 years ago. 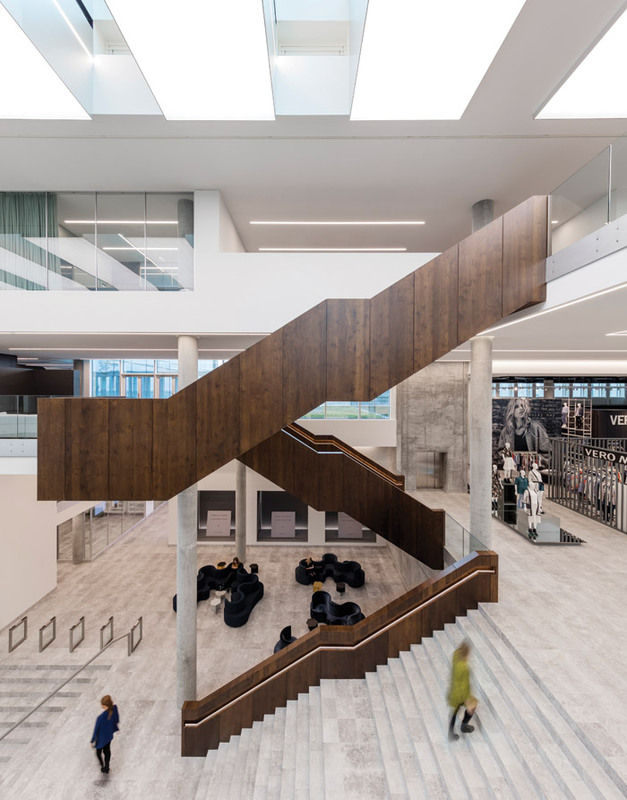 The practice will be highlighting its historic relationship with the city with Local History from the Skyline, an exhibition on the studio’s roof terrace opening in July, and this year will also launch Bestseller, a showy integrated series of mid-rise office blocks on the waterfront near to Navitas. Copenhagen’s HenningLarsen Architects and Aarhus practice SMAK will complete Frederiksberg high school, the first new school in the city centre for 100 years, while Aarhus’ Cubø is finishing two healthcare projects: its part in the University Hospital, and on the university campus a Biomedical Centre. Likewise the city’s largest practice Arkitema has also just finished a new campus section to the VIA Technical University. Nordic cities still mainly comprise low-rise skylines, although the building burst has meant Aarhus studios have recently been producing a steady flow of medium-rises in and around the city centre, including CF Møller (again) masterplanning Frederiks Plads and the Ceres Brewery dockside area, including Ceres — a new mid-rise, this time by shl. At the other end of the scale, Atelier Kristoffer Tejlgaard’s super-cool Aarhus Dome of Visions geodesic dome has appeared on the docklands (2016), mirroring and further developing the popular five-year-old Copenhagen Dome of Visions, and is hosting a programme of events across the year. Like so many Capital of Culture host cities through the years, the primary focus is around events, and here Aarhus is no exception. The principal architecture event is the arrival of Denmark’s second Architecture Biennale in the city midway through September. Themed around three fluidly interpreted core strands — The City, Society, and Materials — RISING Architecture takes place 11–15 September split between an Aarhus hub and other venues across central Denmark. Earlier in the year another Architectural Week focuses on Architecture & Landscape as Character through late April and early May. Before these two, other architecture events kick off early in the year. The first of these is Future Living, focused on ‘rethinking the urban centres of the Central Danish Region’, launching on 1 February and continuing through the rest of the year. Complementing Future Living is a series of events under the umbrella title Engaging through Architecture, organised by Aarhus Architectural School and involving 200 masters students. Its aim is to draw in central Denmark’s population into a broad architectural conversation, with this project also beginning in February and running to the end of June. In March, Building Green — a sustainability weekend already running in Copenhagen — comes to Aarhus for the first time. Also beginning in March, though continuing through to November, Design for Diversity showcases specialist housing for autistic people, developed by the young Aarhus social and green practice Pluskontoret Arkitekter (think a cross between Architype and Ash Sakula). Likewise, radical though rather different, is Urban Instigator, organised by domologist Tejlgaard’s old chums, the anarcho-collective Bureau Detours. It has invited compatriots from Holland, France and Iceland to work on four spontaneous anti-architectural experiments in the city, on-going through the year. For those making the journey to Aarhus who know about the rivalry between Aarhus and Copenhagen’s architectural communities 2017 will likely be an interesting moment to see many of the city’s practices work amid the Capital of Culture festival backdrop. There again, if you want to wait a while longer, Aarhus Architecture School will be deciding during the year who is going to build its new school, from a shortlist of BIG, SANAA and lacaton & vassal. It’s planned to be ready by 2020.